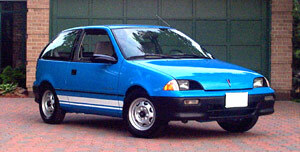 So you want a 100% electric car for commuting or running errands in your town or small city. Maybe you’ve dreamt of whipsering down the road in a clean, quiet Tesla roadster … and then you woke up screaming at the thought of the $109,000 U.S. price tag. We have written previously about Project ForkenSwift, the electric Geo Metro made from forklift and golf cart parts for the princely sum of $672 (its build cost has since crept up to $955 - details in part 3). At that time, it might have been easy to dismiss that low-cost grocery getter as an unrealistic one-off, assembled by obsessively cost-conscious builders. But since then, two more affordable, electric runabouts (their motors also sourced from used forklifts) have hit the streets. Which lends proof to the idea that electric drive does not have to be prohibitively expensive for the motivated tinkerer (note that we specifically didn’t say “experienced” or “skilled” tinkerer). To be clear, nobody is pretending for a moment that these cars can go even remotely as fast or as far as a Tesla. 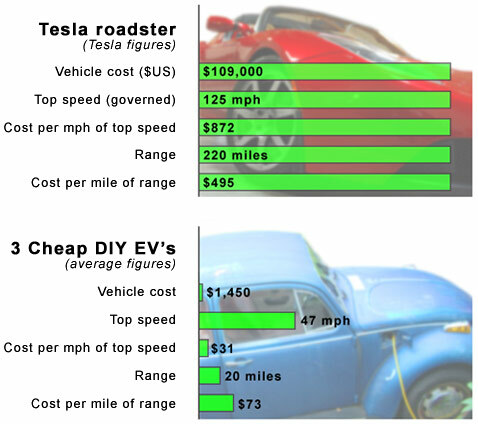 But compare on “cost per range” or “cost per MPH”, and they’ve got the roadster beat! OK, OK, so the average motorist won’t be lusting after these cars for their range & performance specs (or their looks, for that matter). They probably wouldn’t even meet the current daily needs of the motoring majority. But that doesn’t mean “medium speed”, relatively short-range EV’s can’t be practical for some drivers. 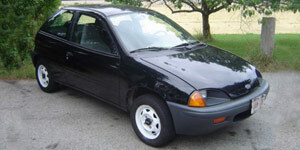 Used in the context they were designed for, the owners of these cars each report that they are useful and fun vehicles. 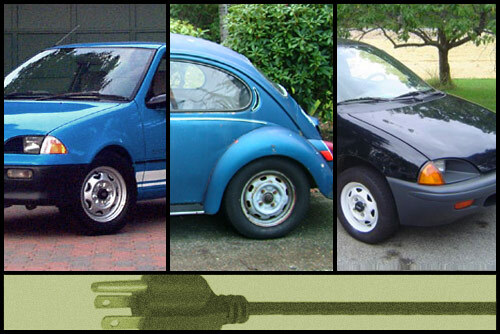 In this 5 part series, we’ll find out how they did it, what lessons they learned along the way, and what advice they have for others thinking about inexpensive EV conversions. ‘Friday The 13th’ Theatrical Trailer & Poster! Smoking Pot Could Stop Mad Cow Disease?